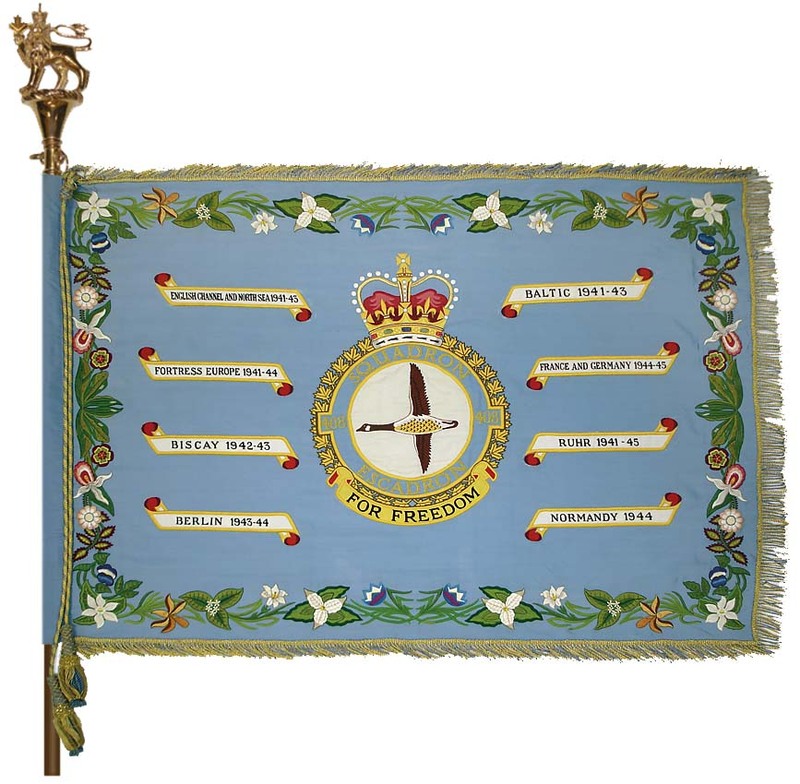 Air force battle honours include both major and subsidiary battle honours. Major battle honours are essentially theatre honours awarded for operations which extended over a protracted period. These are shown in orders by upper case type (e.g., FORTRESS EUROPE). Subsidiary honours apply to specific geographical locations for which accurate and restricted dates can be applied, and are printed in lower case type (e.g., Dieppe). All battle honours are considered equal and are listed in the order detailed in the Official List. A battle honour in Blue bold type indicates one authorized to be emblazoned on a squadron’s Standard (to a maximum of eight honours for the Second World War). ENGLISH CHANNEL AND NORTH SEA 1941–1943. For ship attack, anti-submarine and mining operations over the English Channel and North Sea from the outbreak of war to VE Day. BALTIC 1941–1943. For operations over the Baltic and its approaches by squadrons of Bomber and Coastal Commands from the outbreak of war to VE Day. Fortress Europe 1941–1944. For operations by aircraft based in the British Isles against targets in Germany, Italy and enemy-occupied Europe, from the fall of France to the invasion of Normandy. FRANCE AND GERMANY 1944–1945. For operations over France, Belgium, the Netherlands and Germany during the liberation of north-west Europe and the advance into the enemy’s homeland, from the start of air action preparatory to the invasion of France to VEDay, April 1944 to 8 May 1945. Biscay Ports 1941–1944. For operations over the Bay of Biscay ports from the fall of France to VE Day. Ruhr 1941–1945. For bombardment of the Ruhr Area by aircraft of Bomber Command. Berlin 1943–1944.For bombardment of Berlin by aircraft of Bomber Command. German Ports 1941–1945. For bombardment of the German ports by aircraft of Bomber and Coastal Commands. Rhine. For operations in support of the battle for the Rhine crossing, 8 February to 24 March 1945. BISCAY 1942–1943. For operations over the Bay of Biscay by aircraft of Coastal and Fighter Commands, and of Bomber Command loaned to Coastal Command between the fall of France and VE Day, 25 June 1940 to 8 May 1945.